Yea…. Odd Future is pretty damn big now! OFWGKTA! Nardwuar’s interviews never seize to amaze me!!! Dude finds the most random, rare vinyls!!! Plus these interviews are comedy! Right after getting off stage with Diddy at SXSW, Lil B runs into Nardwuar and gets interviewed! So it seems like Odd Future had one of the best trips to SXSW Hip Hop wise! Check this video of Hodgy Beats and Left Brain of MellowHype and Odd Future talking about meeting and eating tacos with Jay-Z, how they first started recording and what’s in the works for the group! 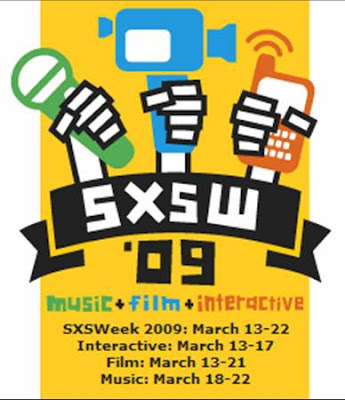 BCTV: Broccoli City x SXSW ’09 Walkthrough! Check out the folks from Broccoli City at the South By Southwest Music Festival. They even got it in with everyone from G.O.O.D. Music! Dope! With the release of A Love Supreme steadily approaching next week, U-N-I made their trip down to Austin, Texas to do several performances at SXSW! The event was a mega success for all who participated and brought in lots of new fans for the Inglewood group. Check out the video of U-N-I performing in front of thousands of people at several events! There is absolutely too many events and activities happening at this festival to post! All you need to know is that U-N-I, Blu, Charles Hamilton, and Brother Ali will be performing! BTW this is in Austin, Texas! So I finally sign on to Myspace for the first time this year and I get a couple treats. They just posted this video of U-N-I’s adventures of the past couple weeks while nearing closer to SXSW (more on that later). The video follows the group from the beginning of the month as they performed at the Busta Rhymes concert which I missed, to their video shoot for their single, “Hollywood Hiatus”, to the the recent Adidas x Damani shoe signing at Millenium Shoes right down the street from me. Check it out! All the footage was shot with the Flip Mino Camcorder. Side Note- I played basketball with Thurzday yesterday and he aight!!! Haha… Sadly I only played one game against him so next time I’m bringing it to everybody on the court (pause)!